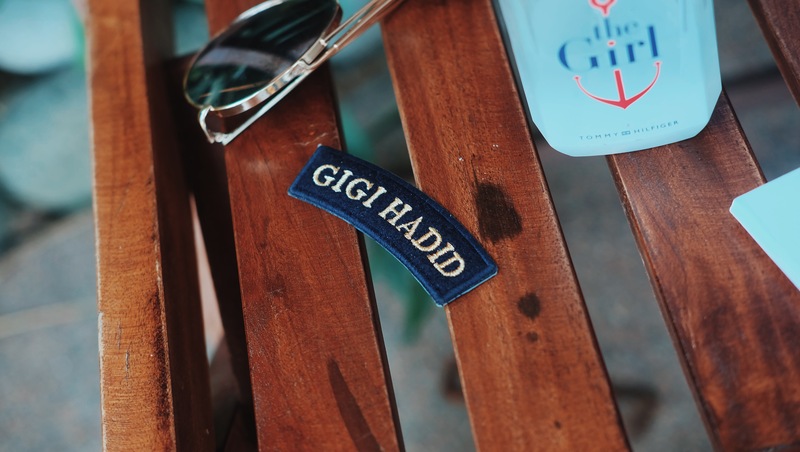 When I first got this fragrance, I told myself, this is prolly the closest thing to being a Gigi Hadid, given her admirable attitude, confidence and effortlessly cool style. I got so excited to review and feature this scent which is probably one of my top EDT’s to date. I got so inspired that I shot my own OOTD in La Union, a place where happy is!! 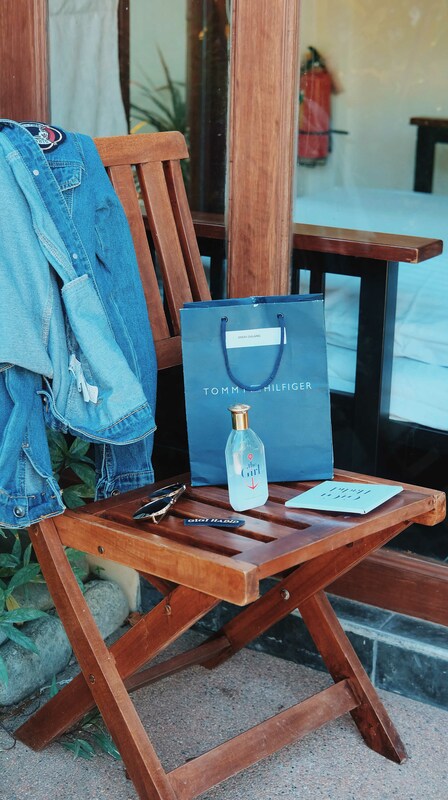 As part of her ambassadorship for Tommy Hilfiger the brand, Hadid has also teamed with the iconic American designer to create her first capsule collection, which further celebrates her modern take on style fused with Hilfiger’s signature “classic American cool” heritage. 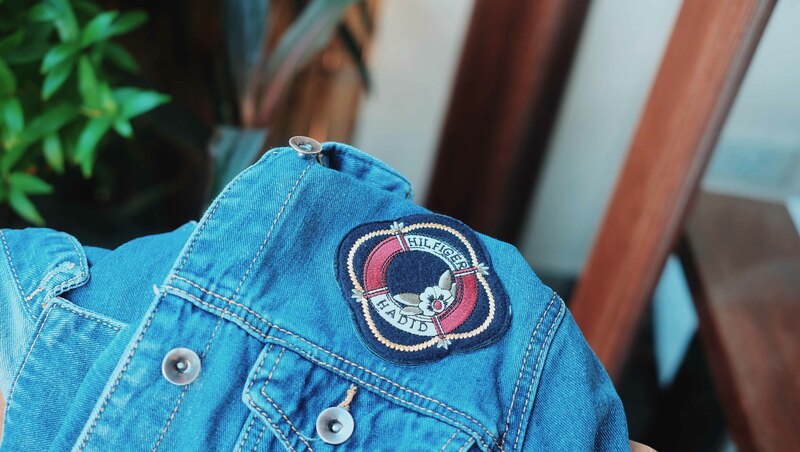 I can’t help but see this iconic look being consistent in all merchandise and accessories of the perfume just like the patches that came with it below. I brought the bottle outdoors for my senses, which is what I do when it comes to reviewing fragrances. Truly, THE GIRL by Tommy Hilfiger is crisp and fresh. I used to wear this at day and even night before the trip and I always get comments that the scent is so fresh yet brightly magnetic. And really unique given that I have a lot of floral aquatic EDT’s. The secret is that the scent opens with a burst of green pear, violet leaf and green fig leaves before moving to the heart of velvety jasmine petals and silky muguet. Cedarwood and cashmeran envelop the fragrance for its signature finish. 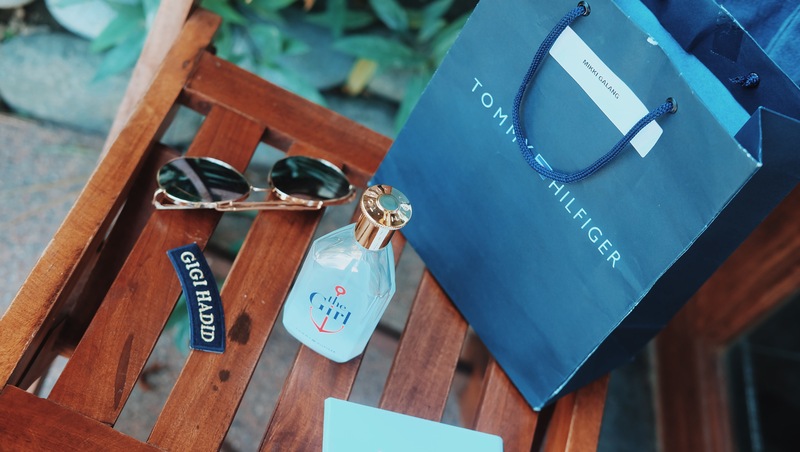 I suggest you try THE GIRL by Tommy Hilfiger Eau de Toilette which will be available at Rustan’s Makati, Rustan’s Shang-ri La, Rustan’s Alabang, Rustan’s Gateway and Rustan’s Cebu on September 2016, and have a suggested retail price PHP3,900.00 per 100ml bottle.